Hi, my name is Marisela Gonzalez. As a lifelong resident of the Coachella Valley, I am proud to call myself a local. I enjoy reading, concerts, dining at new restaurants and spending time with family and friends. I enjoy being able to help others and one day I hope to become a Registered Nurse. I look forward to meeting you; whether it’s helping you find the right slot machine, informing you of our exciting rewards program or making your next dinner reservation. Hi, my name is Luis Sosa. 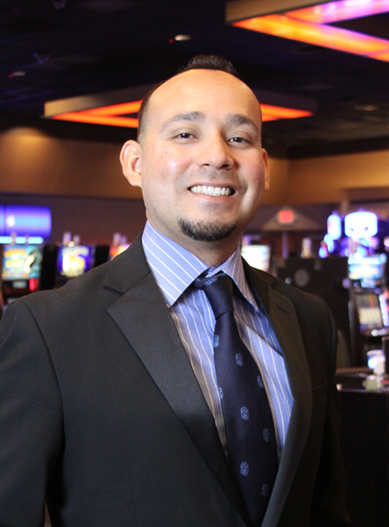 With more than eight years of Casino Marketing experience, I’m excited for my new venture as a Casino Host. Augustine Casino is a true locals’ gem, and it has afforded me the opportunity to meet some of the most friendly and intriguing guests from around the Valley. Guest service has always been a passion of mine and I look forward to meeting you and exceeding your expectations. I was born and raised in Guatemala and have lived in the Coachella Valley for over 26 years. Each year my family and I travel back home to explore the breathtaking views and incredible food of Central America. My favorite pastime is cooking and enjoying food delicacies from around the world. If I’m not cooking you can catch me watching The Dallas Cowboys, Go Cowboys! We are here to make your Augustine Casino gaming experience the best it can be. Please feel free to contact me for any of your casino questions, requests or needs. 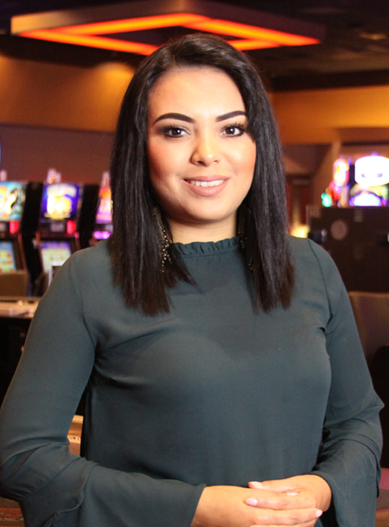 I enjoy meeting new faces and can’t wait to be your Casino Host. Hello, my name is Dawney Valdez. 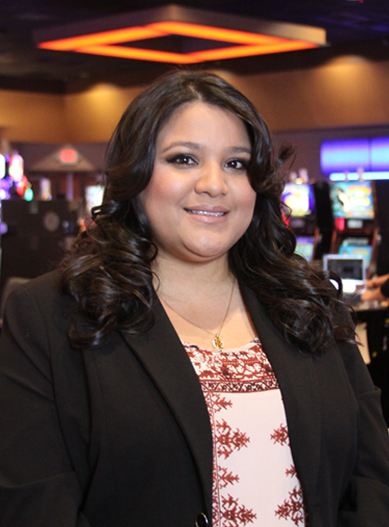 My Casino career began over five years ago with Augustine Casino. I started as a Players Club representative, transitioned into a Players Club Lead and then was quickly promoted to Player Host. Augustine Casino is known for our great guest service and I echo that sentiment. I truly love interacting with our Players, their families and friends. I look forward to these special moments and I’m committed to making your experience memorable. When I’m not on the casino floor, I am currently working toward a Bachelor’s Degree in Environmental Science. I also have a passion for animals and continue to dedicate my free time helping at local shelters. Please contact me when you’re planning your next visit. It would be my pleasure to personally show you why we’re Coachella’s best kept secret.